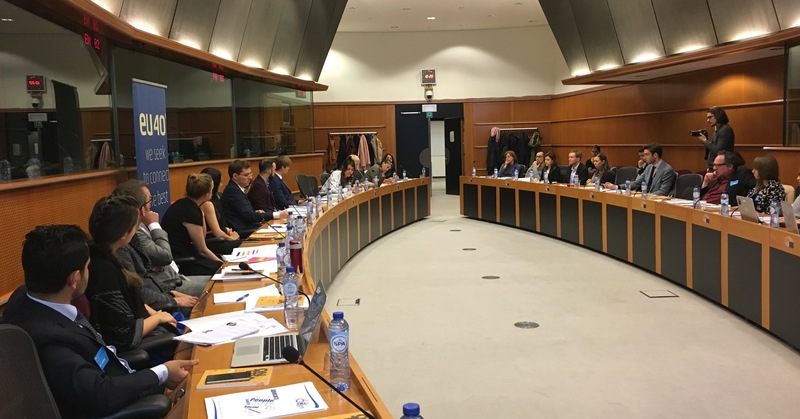 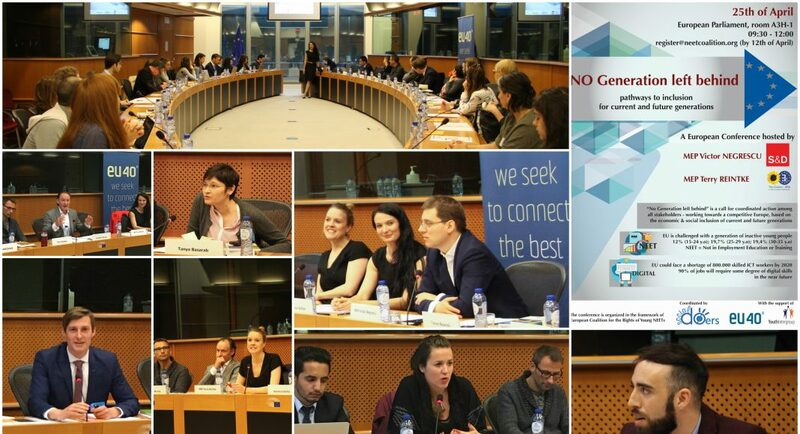 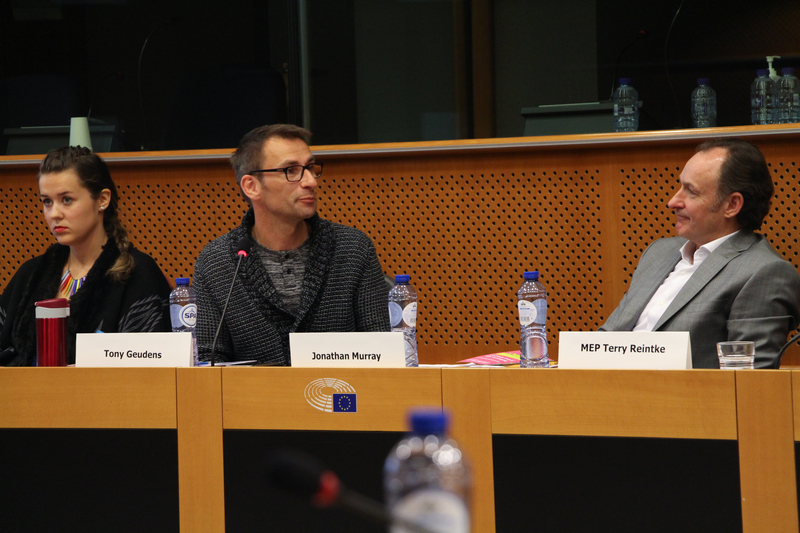 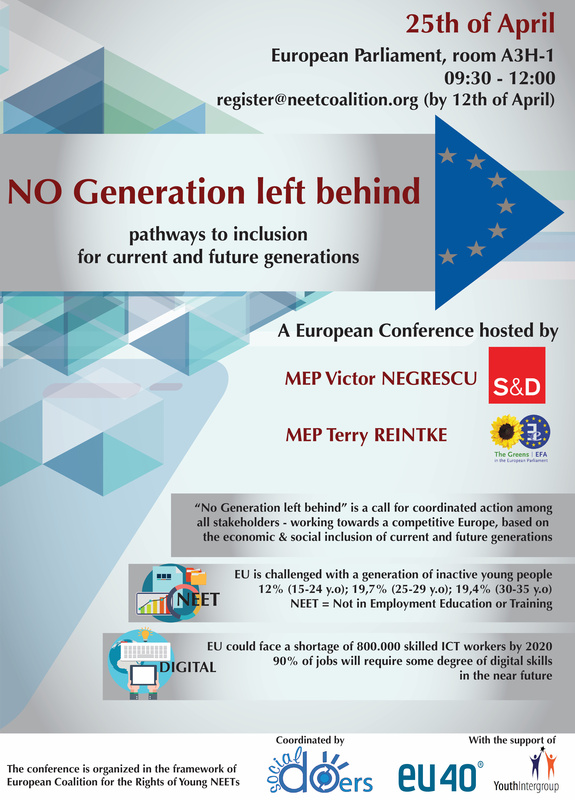 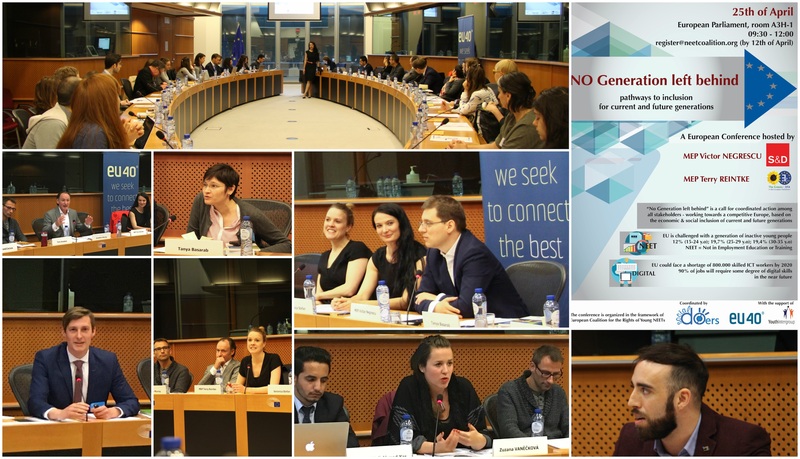 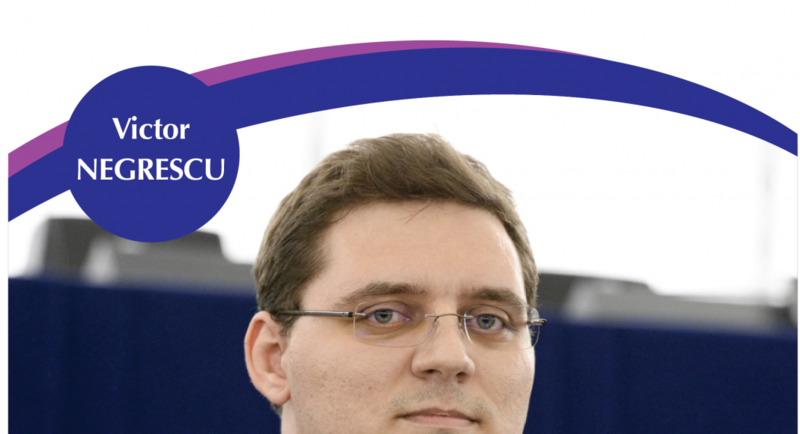 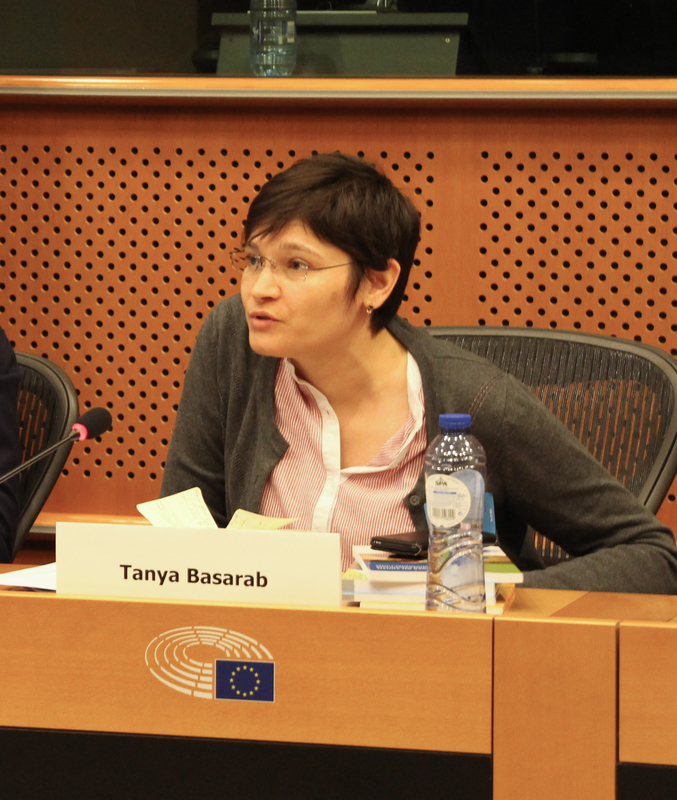 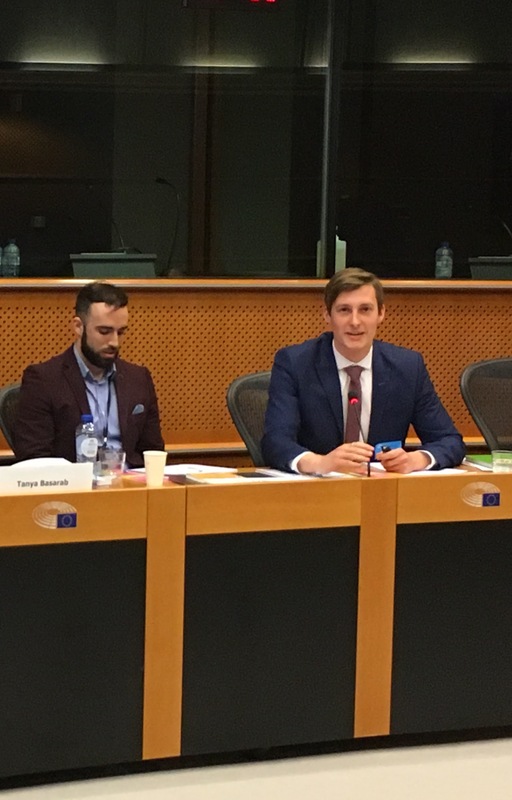 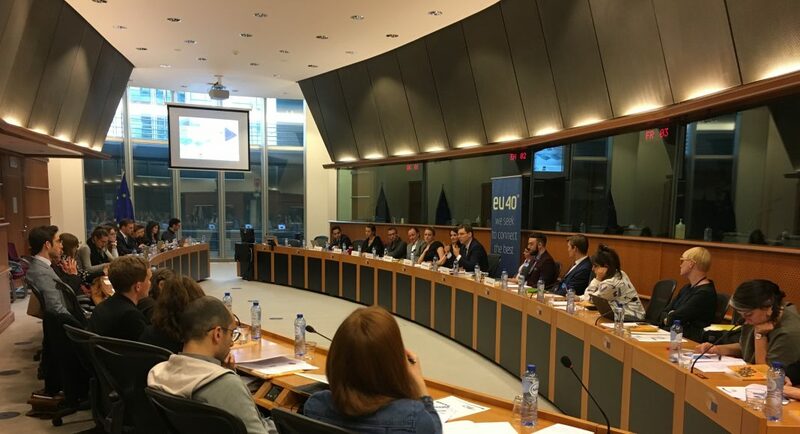 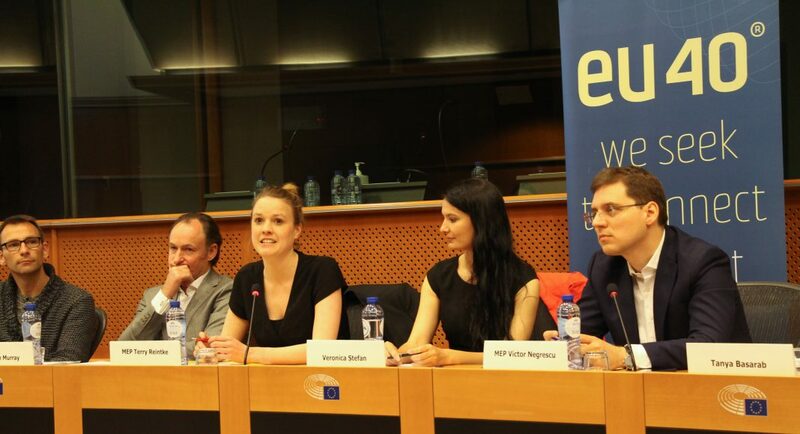 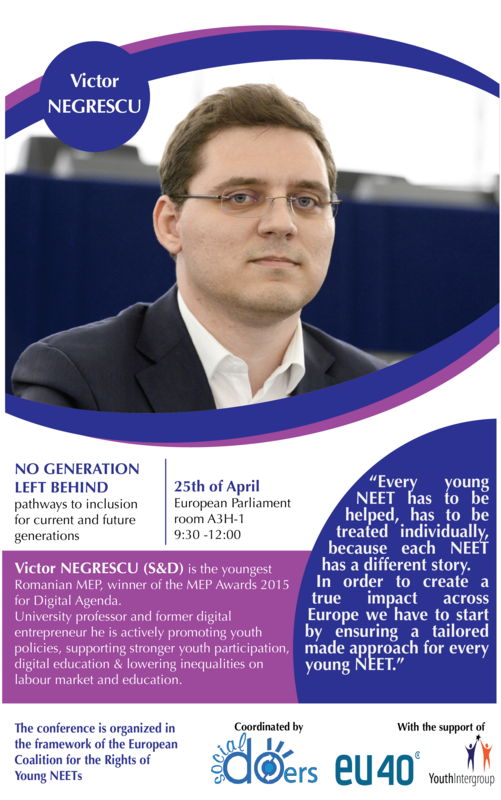 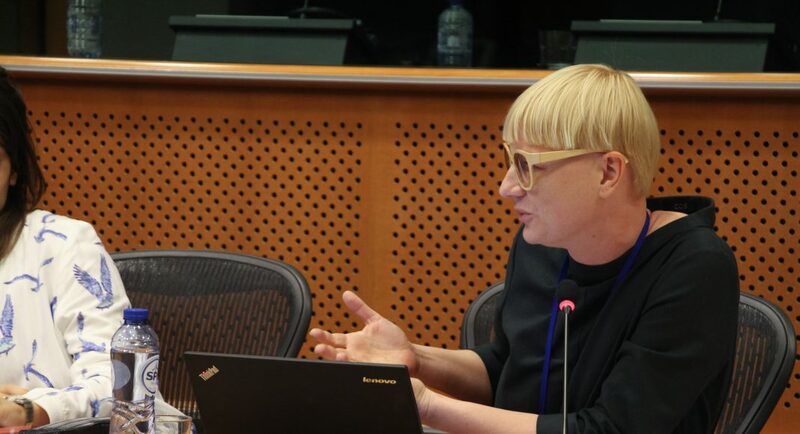 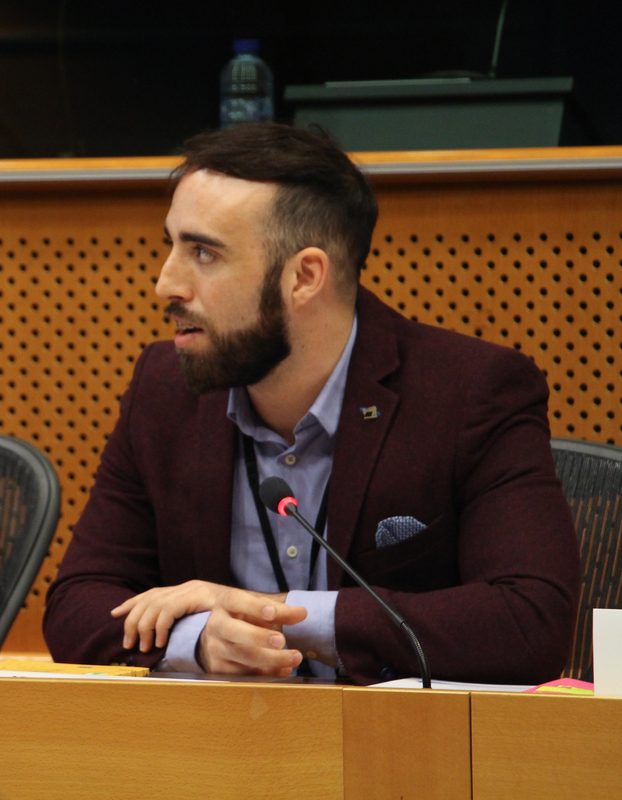 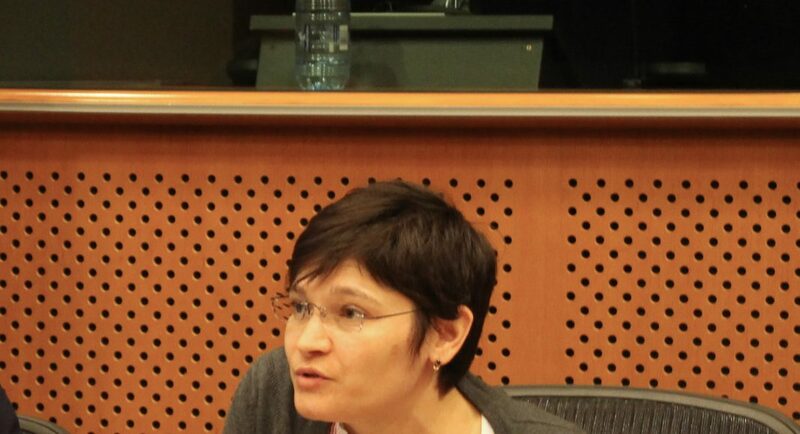 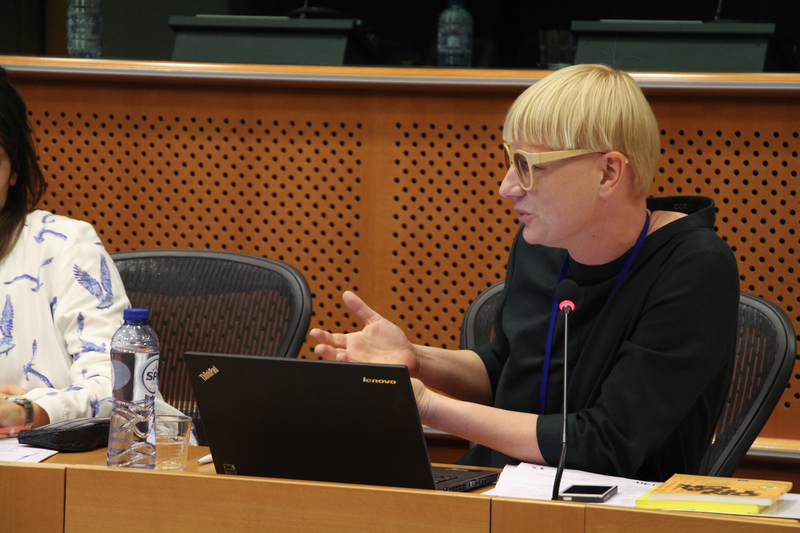 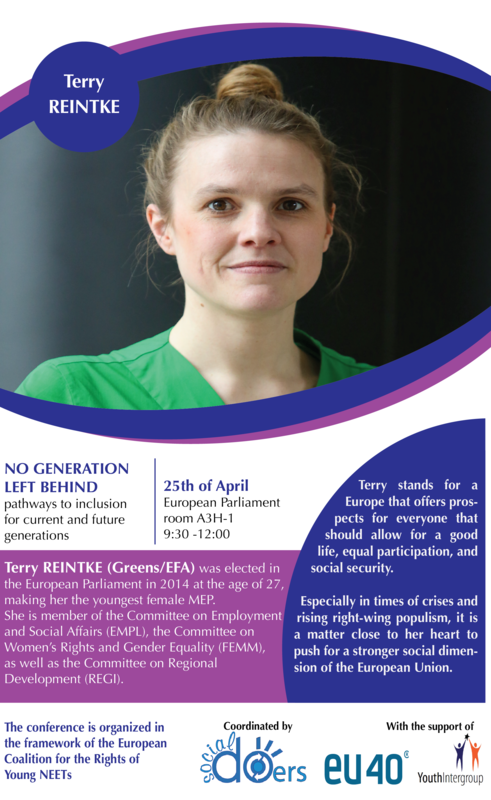 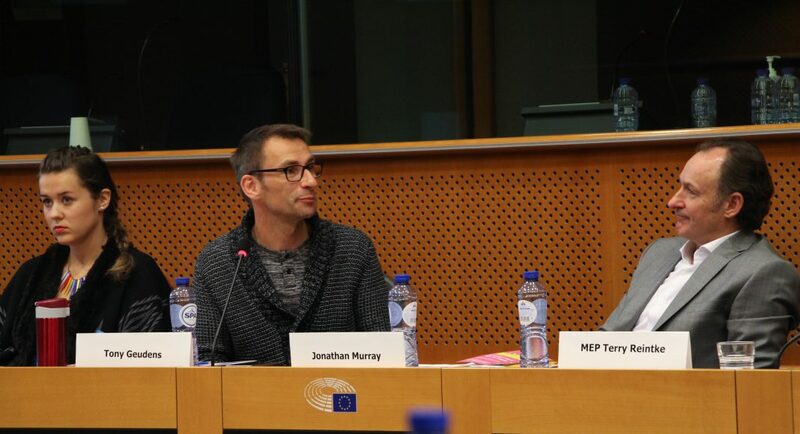 The European Conference “No Generation left behind– pathways to inclusion for current and future generations” was organized by the Think-Tank “Social DOers” and hosted by MEP Victor Negrescu (S&D) and MEP Terry Reintke (Greens-EFA). 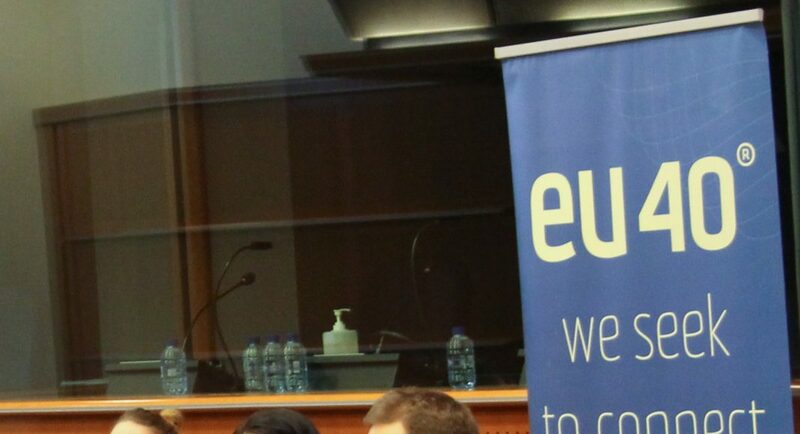 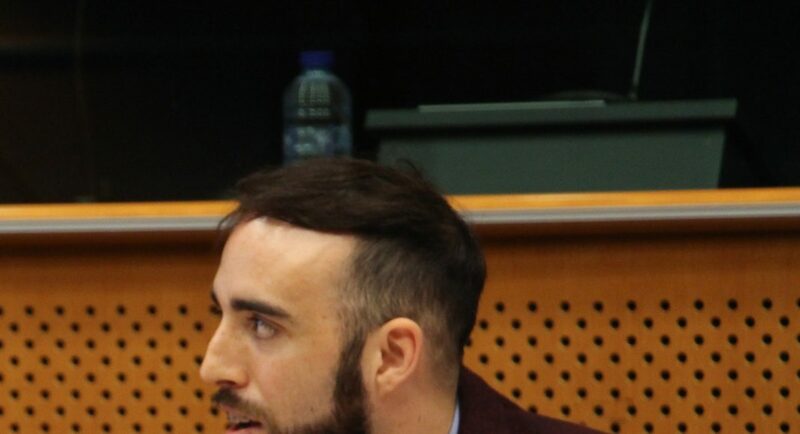 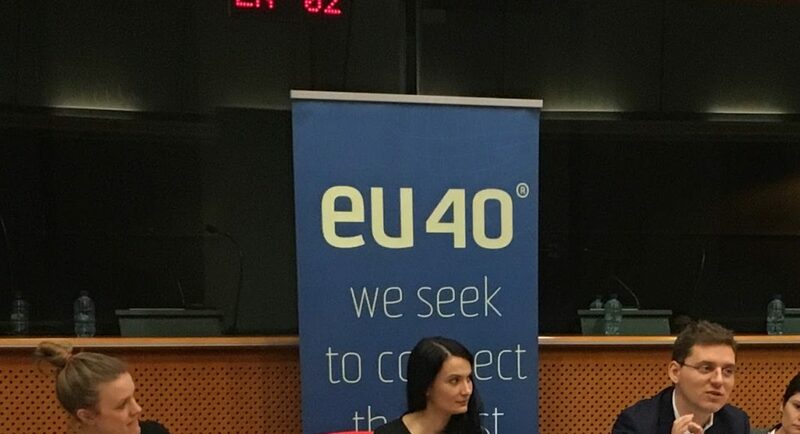 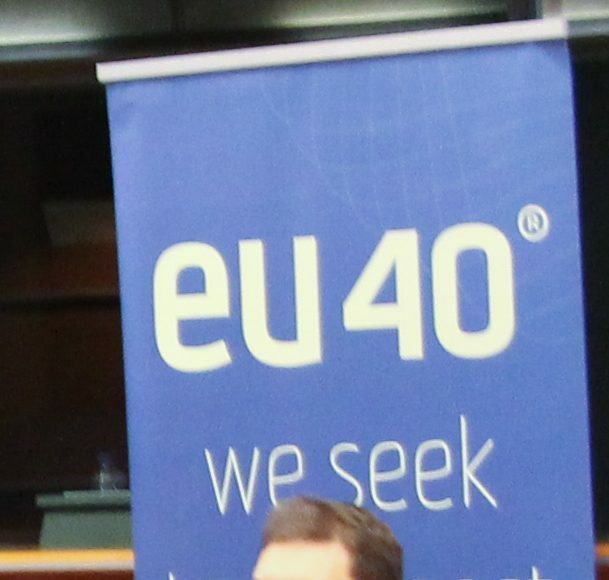 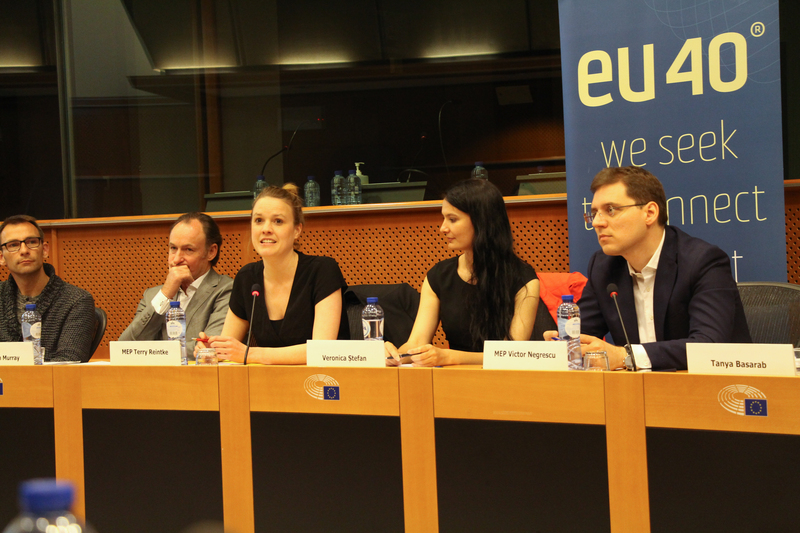 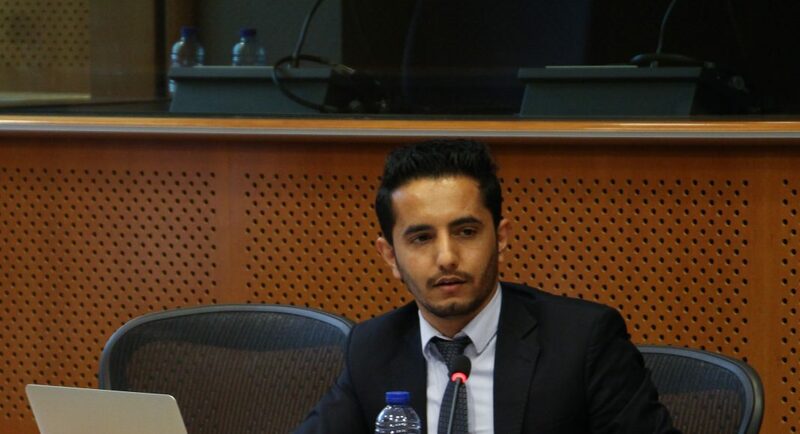 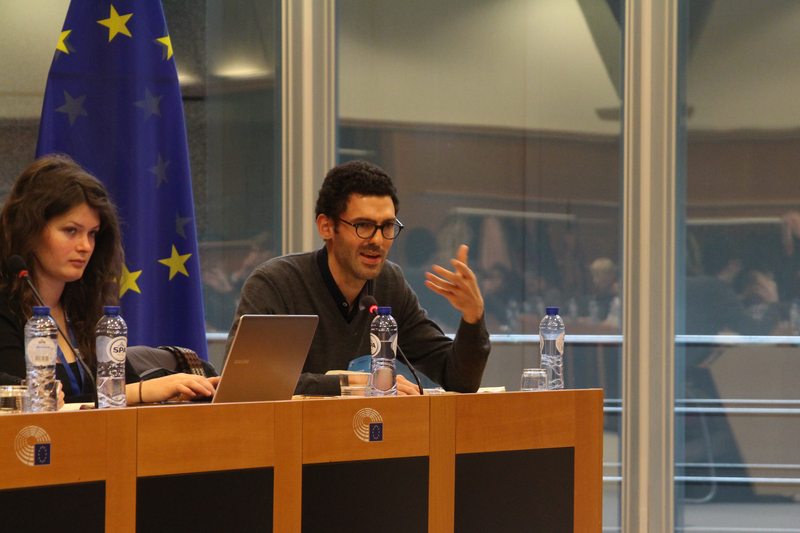 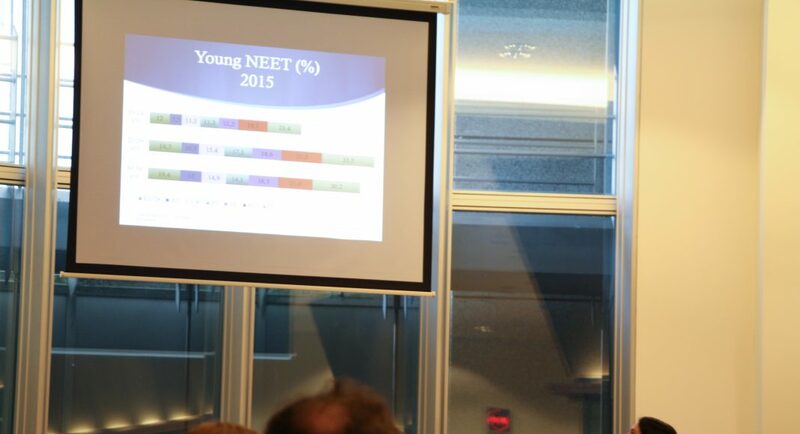 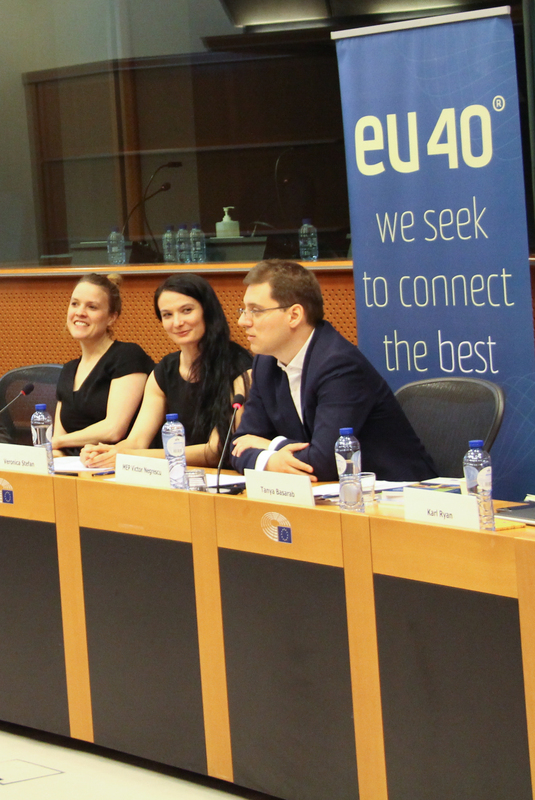 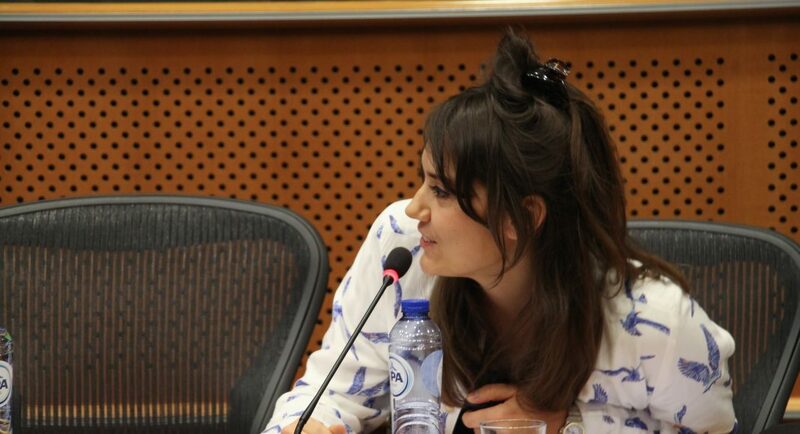 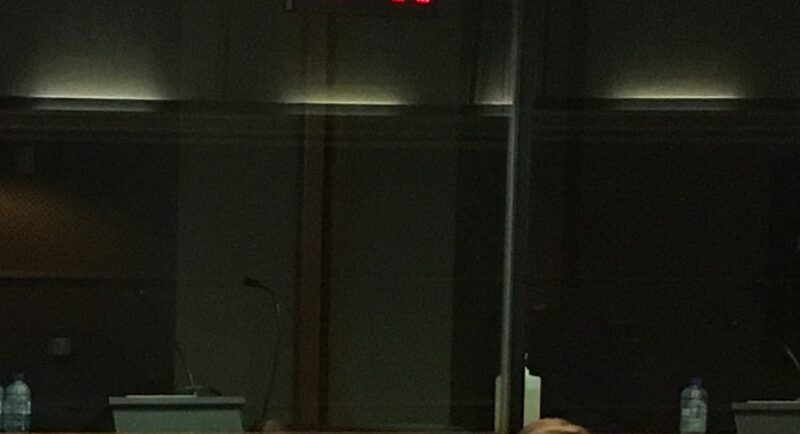 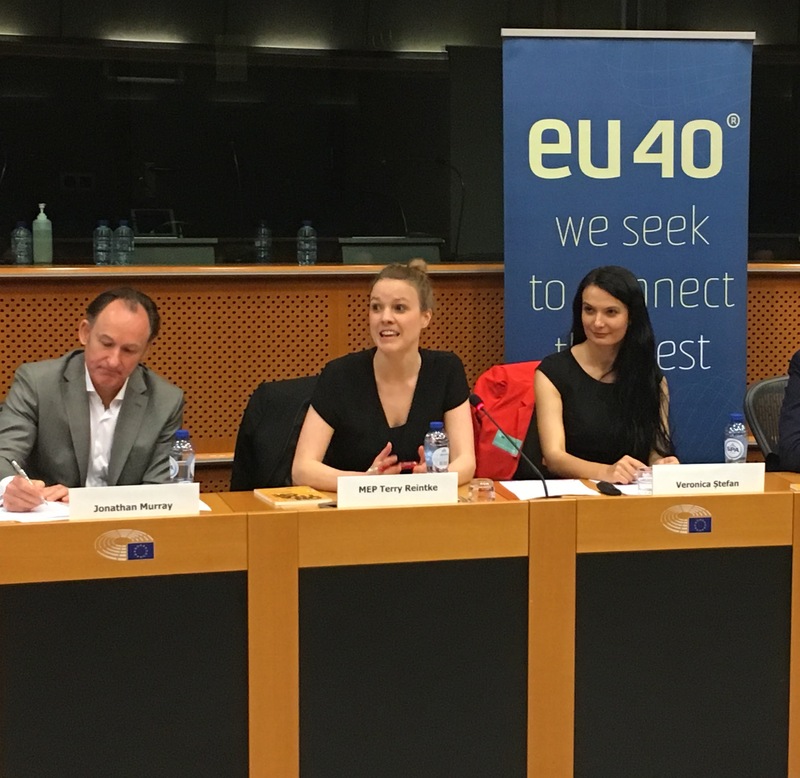 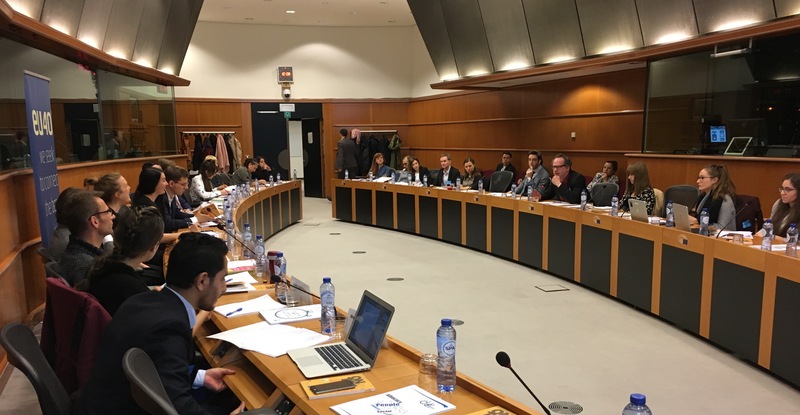 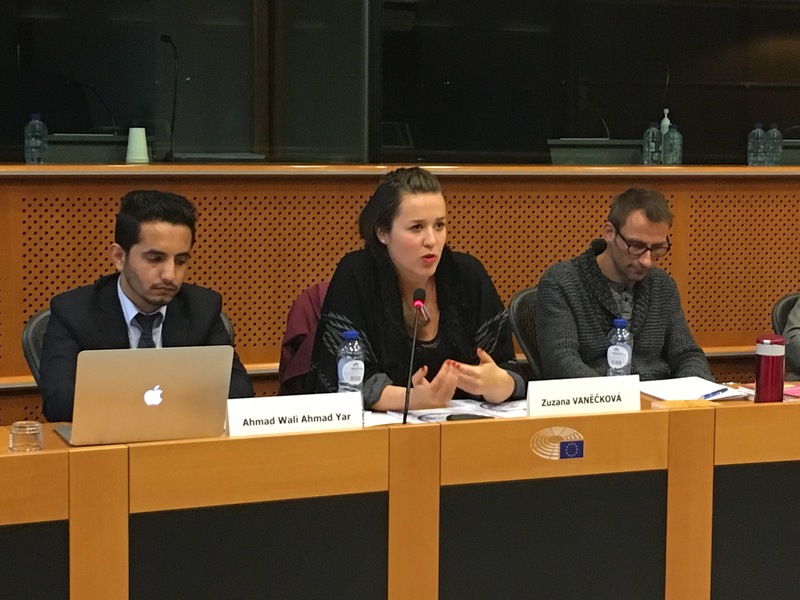 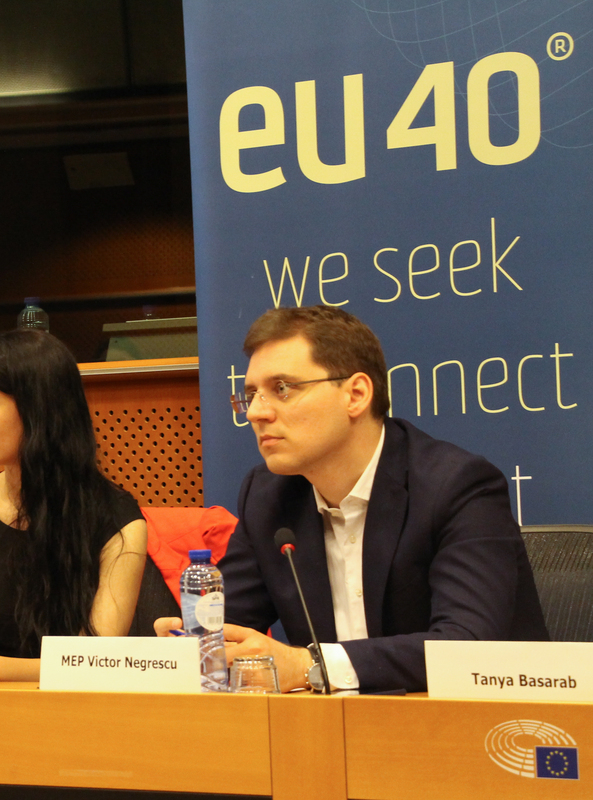 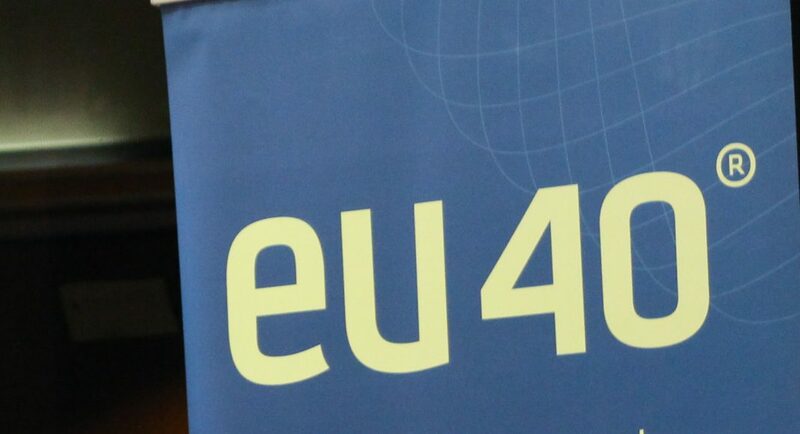 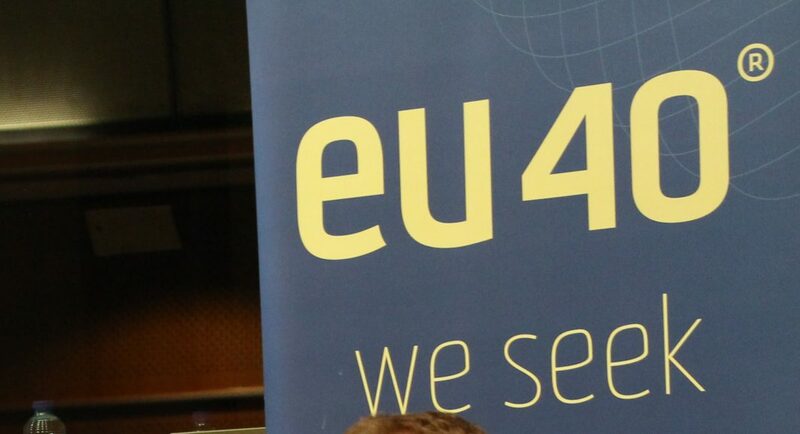 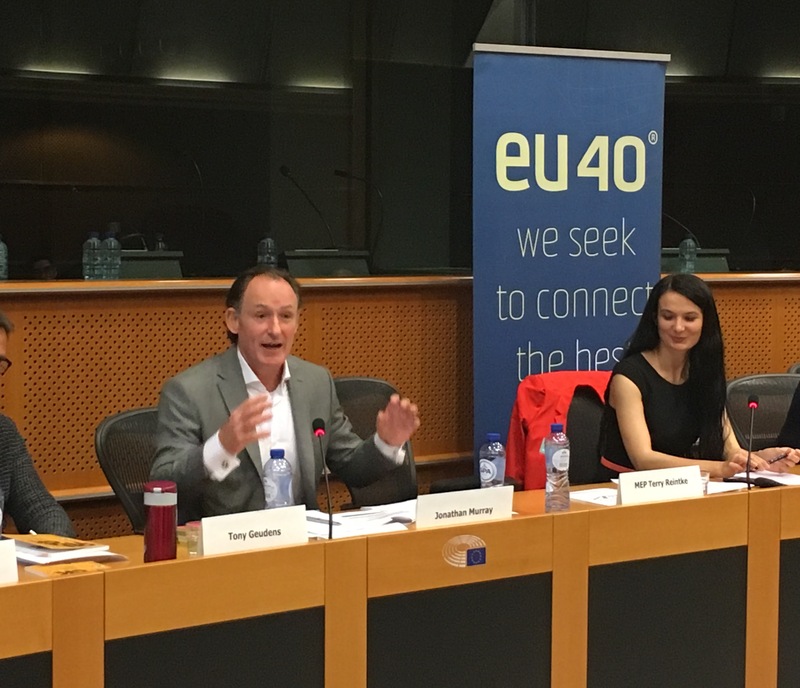 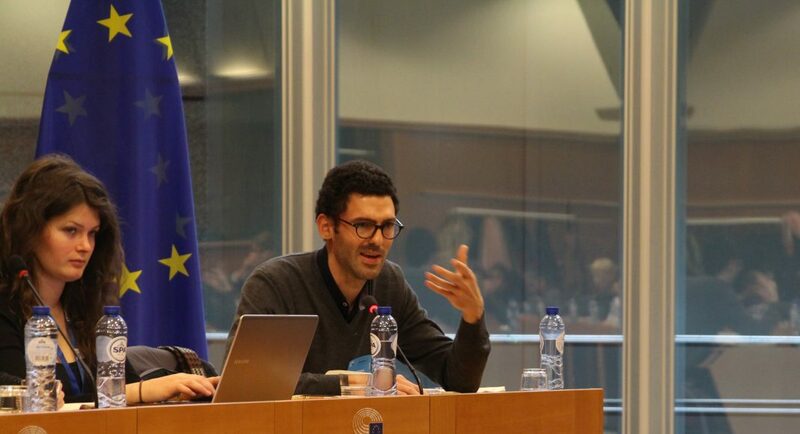 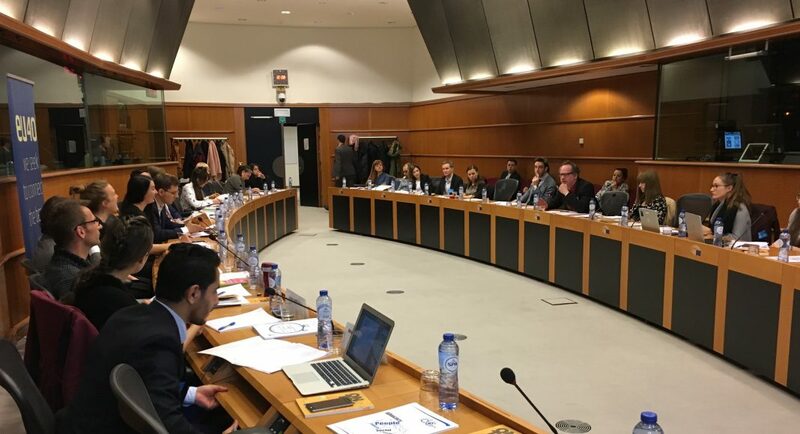 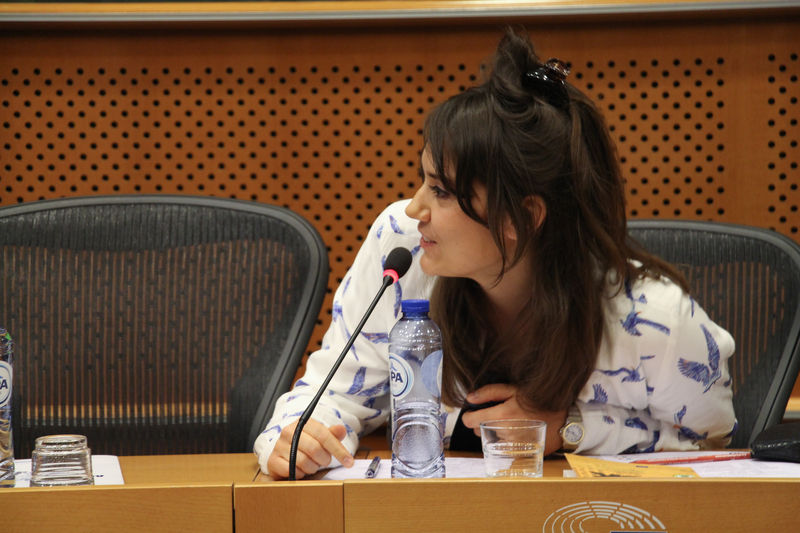 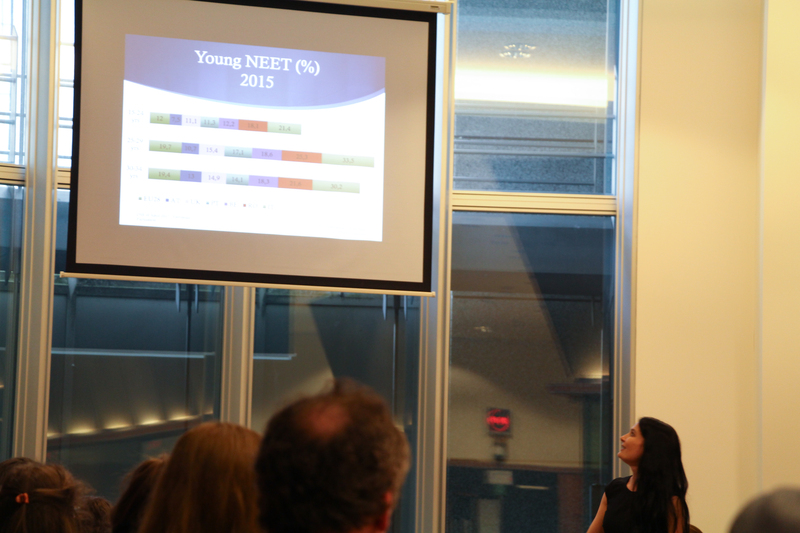 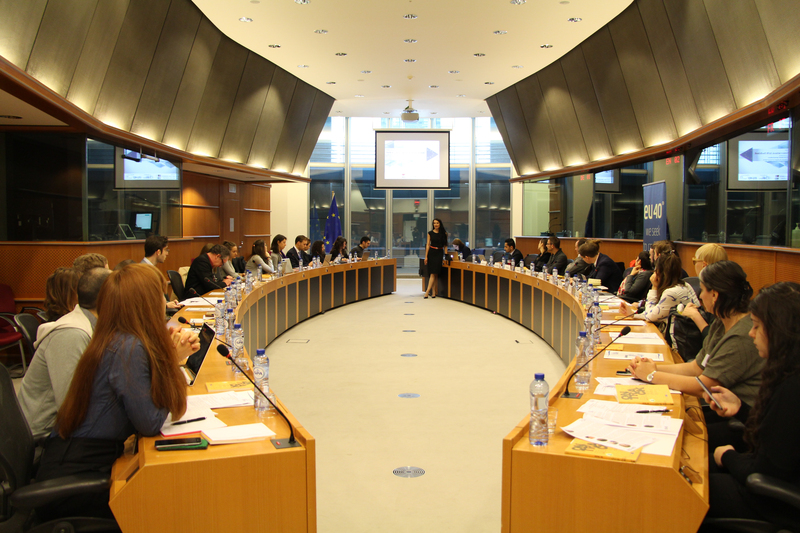 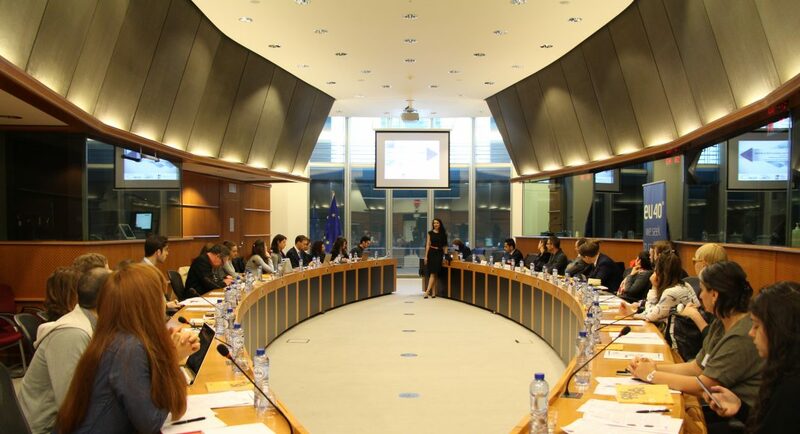 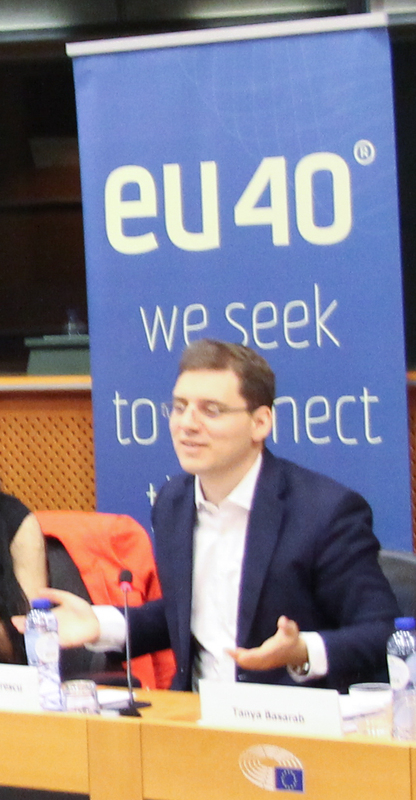 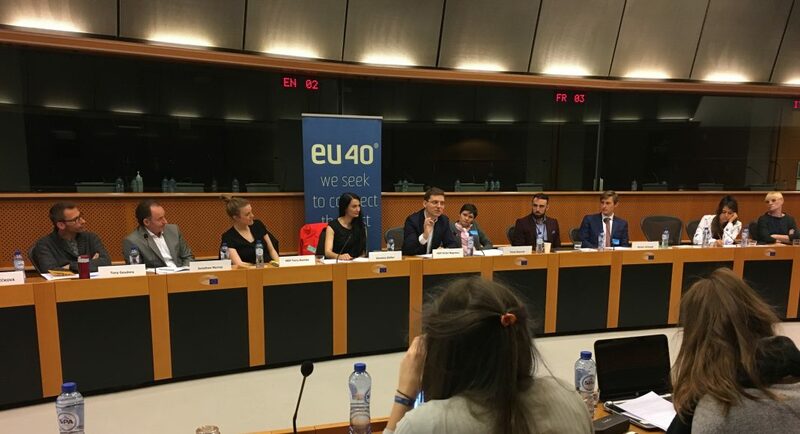 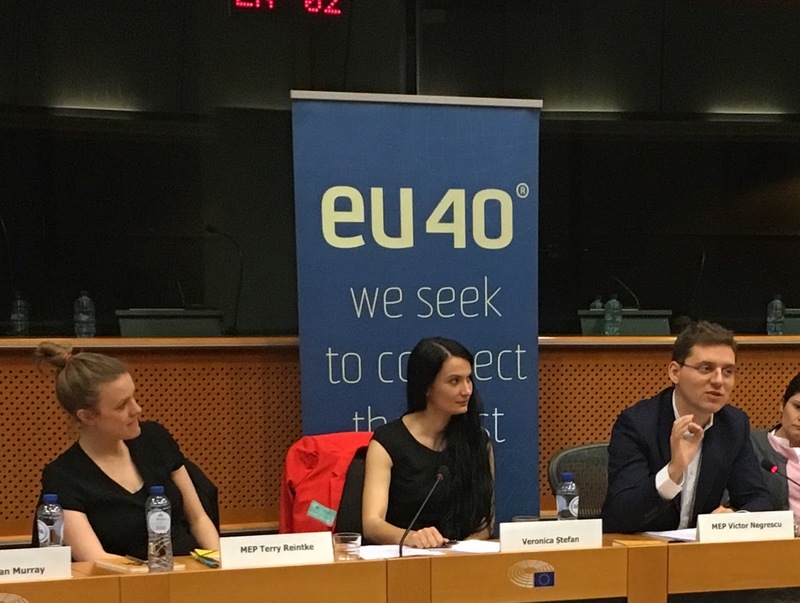 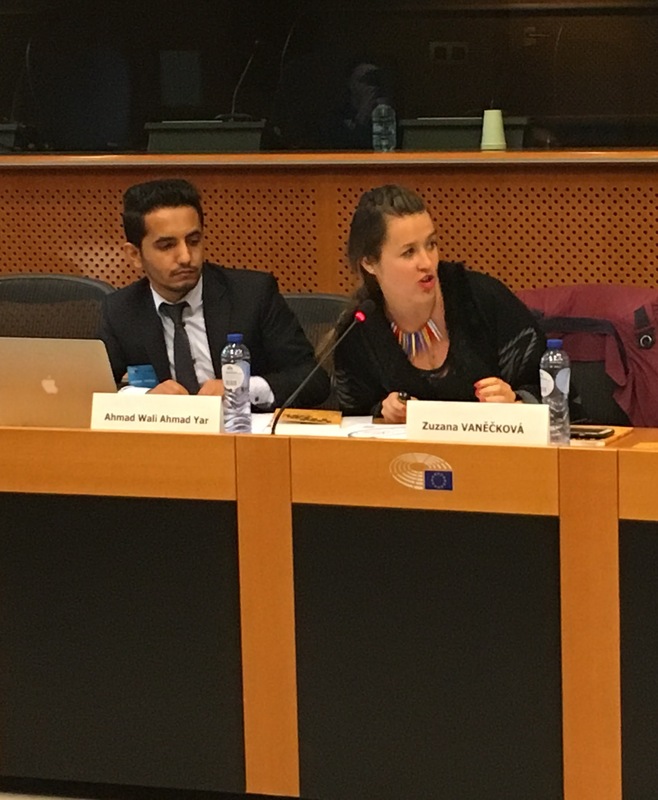 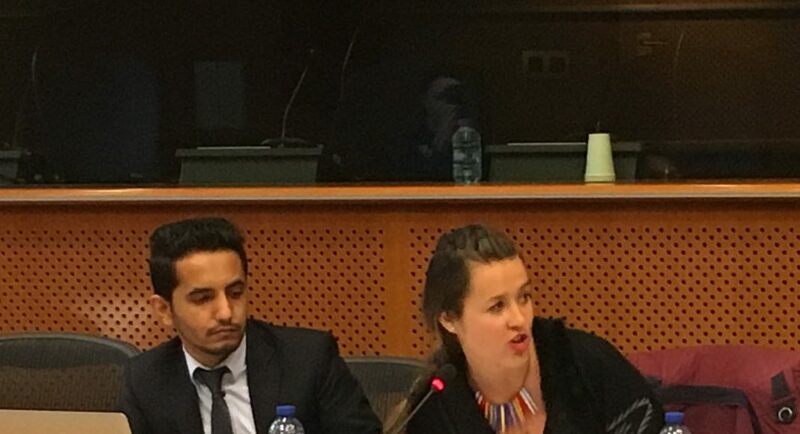 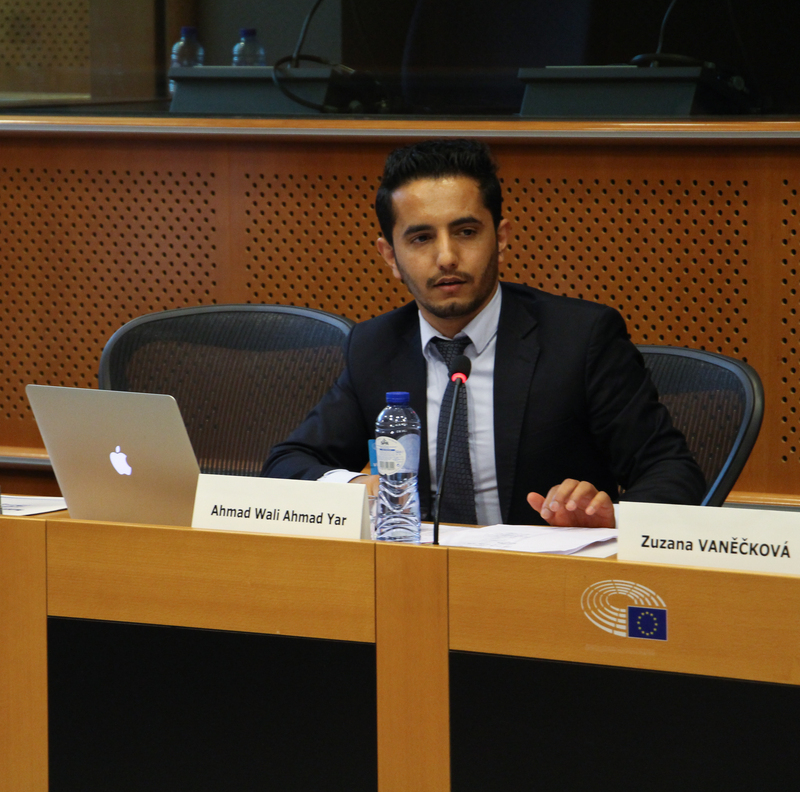 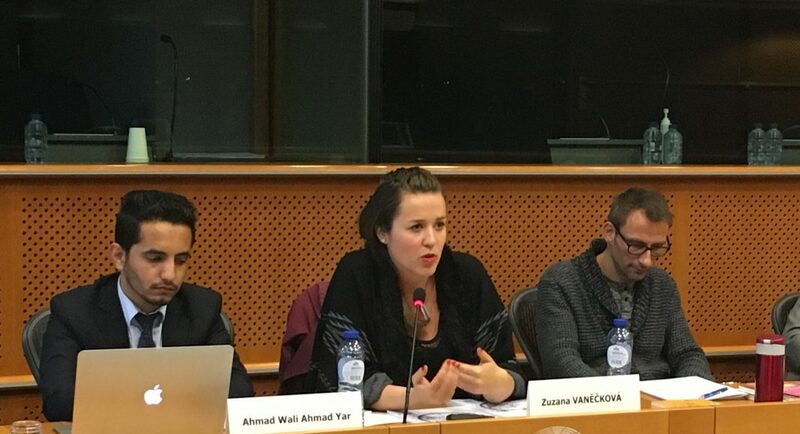 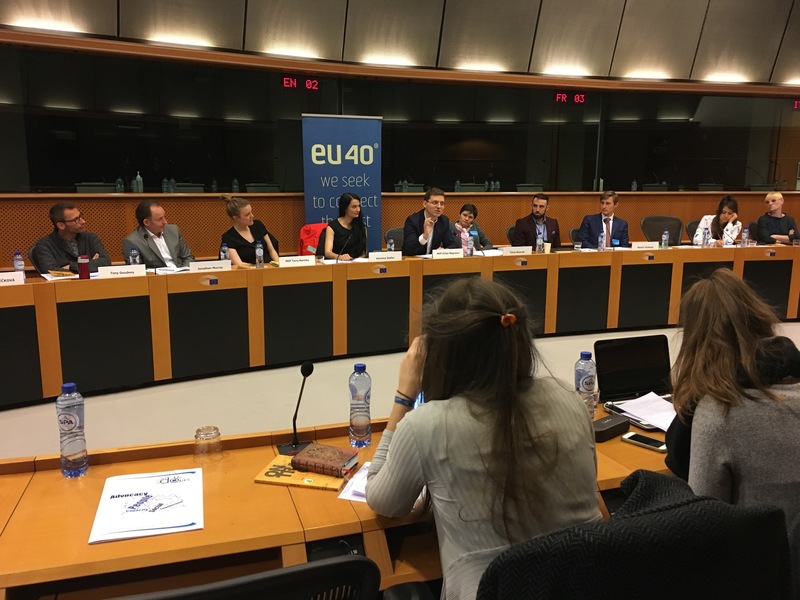 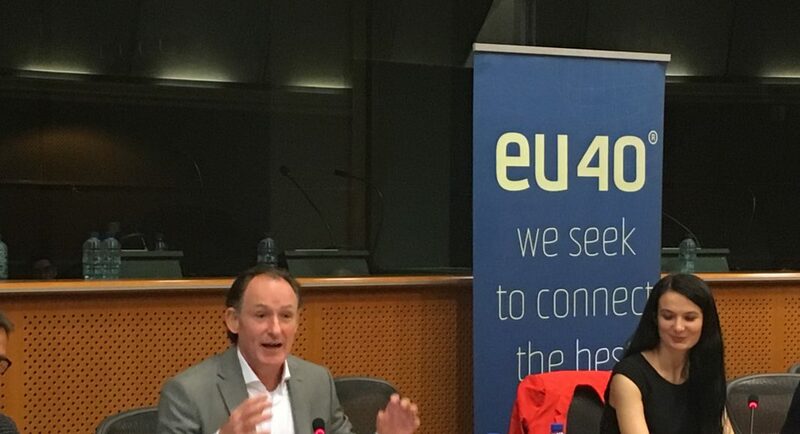 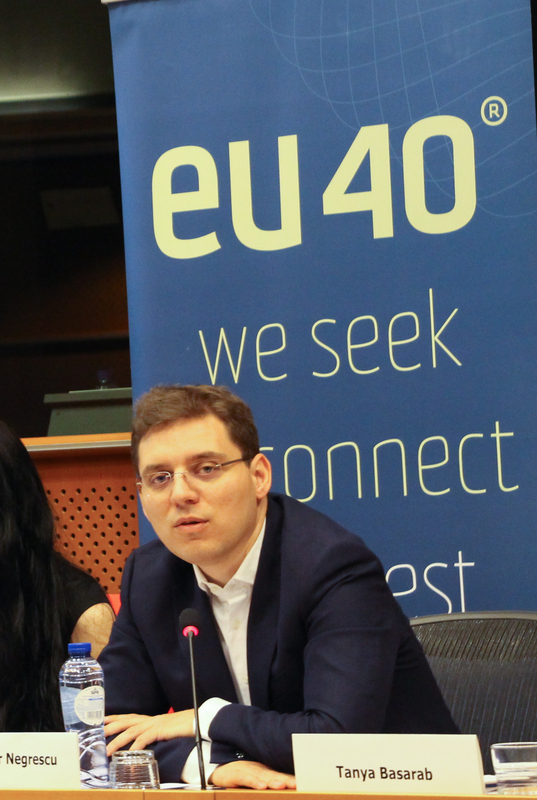 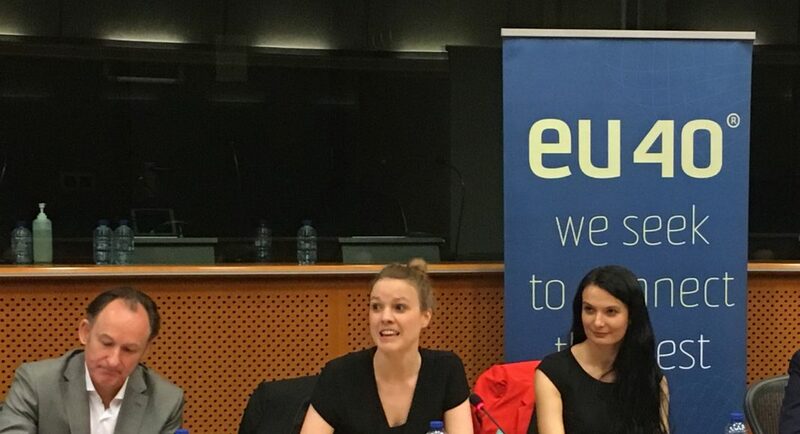 The Conference took place on the 25th of April in the European Parliament (Brussels) with the support of EU40 Network and European Parliament Youth Intergroup. 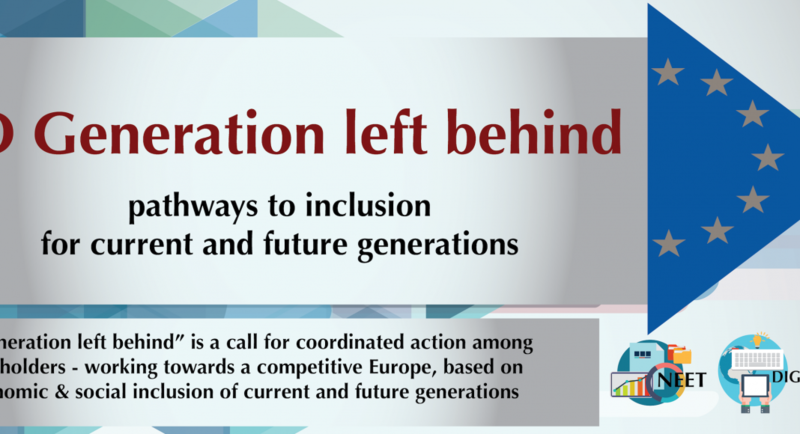 “No Generation left behind” is a call for coordinated action among all stakeholders – working towards a competitive Europe, based on the economic & social inclusion of current and future generations. 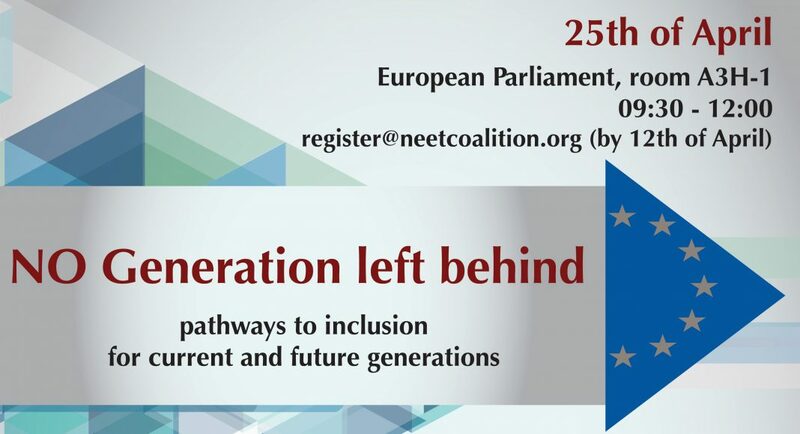 The Conference is organized in the framework of “European Coalition for the rights of young NEETs” initiative – a multi-stakeholder platform advocating for better policies and programmes in order to ensure the full social & economic integration of young people, across Europe. 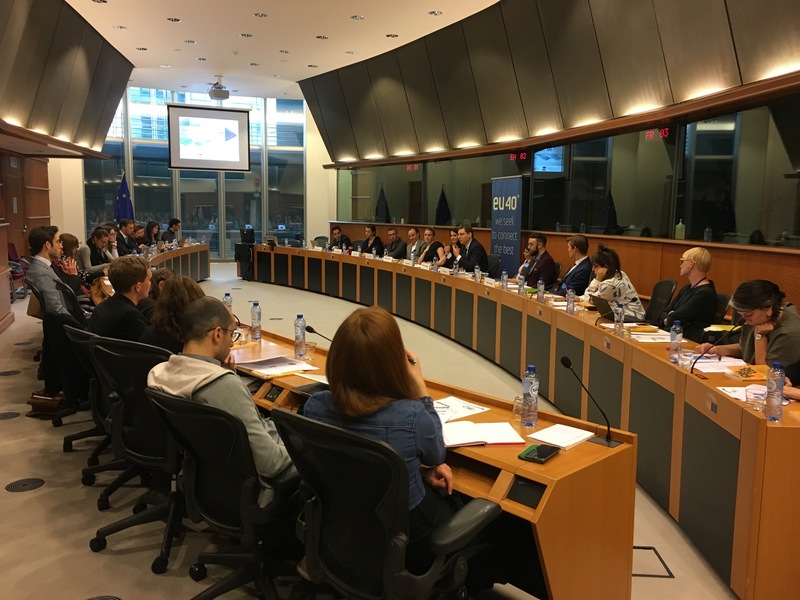 supporting national governments & stakeholders in implementing European policies & making better use of the existing funding – targeting both prevention and intervention measures. 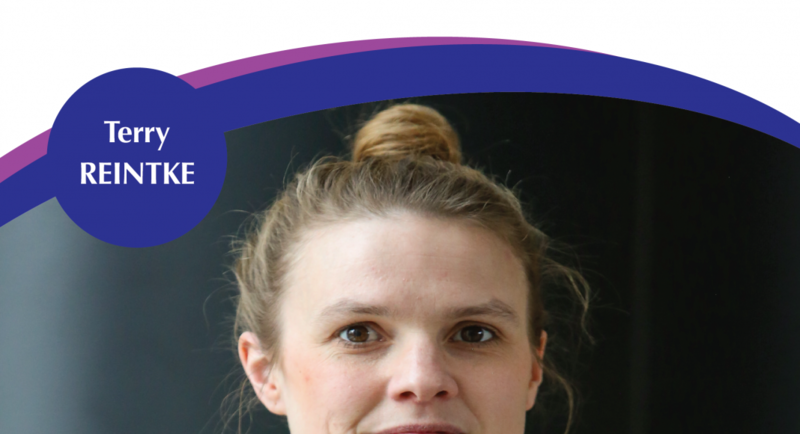 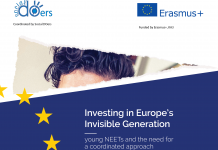 Next articleThe final Brochure of the European NEET Coalition is here!